This spectacular event will be held at the world-renowned Boca Raton Resort & Club. The weekend’s events start on Friday night with The “duPont Registry Live!” Hangar Party at the Boca Raton Airport. On Saturday night, enjoy a black tie gala dinner and live auction. That same evening, the prestigious Automotive Lifetime Achievement Award will be presented to an icon in the automobile industry. On Sunday, the main event takes place. Here, car enthusiasts from around the world will stroll amongst the finest pre-war and post-war automobiles and motorcycles ever created. With its great venue, world-class spa, championship golf, outstanding tennis facilities, and exquisite beaches, this event offers everything you need for the perfect winter holiday. From the classic automobiles and fine cuisine, to the great entertainment and warm Florida sunshine, the Boca Raton Concours d’ Elegance is the envy of vintage car shows nationwide. The weekend kicks-off with the duPont REGISTRY™ Live Hangar Party at Atlantic Aviation at the Boca Raton Airport with celebrity guest, Jay Leno. Guests can peruse an impressive selection of exotic cars, motorcycles, private jets, premier vendors and more and will also experience gourmet tastings from more than 20 of South Florida’s finest restaurants and indulge in an array of fine wines and spirits as plus live entertainment. 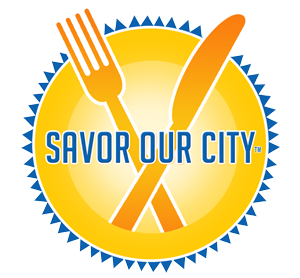 Participating restaurants include: Boca Raton Resort & Club; A Alexander; Abe & Louie’s; BGCBC Culinary; Enerbee; Oceans 234; Ouzo Bay / Loch Bar; Sette Bello Ristorante; Sette Mezzo Ristorante; Taverna Opa; Potions in Motion; Café Med; Seasons 52 and more. (5:30pm – 11:00pm): Grand Gala Dinner, Auction & Show. Prior to dinner, guests will enjoy a cocktail hour and will have the opportunity to bid on a unique array of items at the silent auction. Immediately following the cocktail, guests will be served a gourmet dinner during which they will have the chance to bid on one-of-a-kind trips and experience packages like tours of Jay Leno’s Big Dog Garage, luxury jewelry and a Commissioned painting of by BCDE artist from England, Barry Rowe and the original Bentley portrait and commemorative poster during live auction. Additionally, guests will enjoy the presentation of the National Automotive Manufacturer Lifetime Achievement Award to Mercedes-Benz USA President & CEO, Dietmar Exler, National Automotive Dealer Lifetime Achievement Award to Rick Hendrick, Chairman and Owner of the Hendrick Automotive Group and Hendrick Motorsports and National Automotive Racing Lifetime Achievement Award to Ryan Hunter-Reay as well as a stellar performance by one of the most respected and successful comedians in the country, Jay Leno. The day starts with an exclusive private brunch where guests can join Jay Leno and Wayne Carini, Host of TV Show Chasing Classic Cars for an intimate brunch with a Q&A session. ($1,000 per person). Guests can enter the show field and admire over 200 collector cars and motorcycles. Guests from around the world will experience an automotive showcase like no other, featuring vehicles and motorcycles from an array of time periods. Celebrity Judge Jay Leno will join an expert panel of judges including Chief Judge Dr. Paul Sable and Steve Moskowitz, Executive Director of AACA and Jay Quail, CCCA Executive Director. Additionally, Grand Marshal Wayne Carini, host of Chasing Classic Cars joins the group for another stellar year along with Master of Ceremonies Bill Rothermel and Tom duPont, who will select the finest vintage, antique, classic and exotic vehicles based on period, presentation and style. Celebrity Judge Jay Leno walks through show field meeting automobile, motorcycle owners and attendees as he searches for his favorite automobile & motorcycle to present the Jay Leno Big Dog Garage Award. Once the show kicks off, guests are invited to enjoy a selection of gourmet food, wine and cocktails from over 20 of South Florida’s finest restaurants at the Concours d’Gourmet Pavilion. Wheels From The Heart will donate their 100th car to a single mother (member) from the Boys & Girls Clubs of Broward County. Steven Muschlitz founded Wheels From The Heart which gives single mom’s in need the a vehicle to get a job, drive to school and all of the things we do every day with an automobile. The official 2019 artist for the overall event is Barry Rowe from England one of the world’s leading automotive artists which has developed a worldwide following due to his distinctive style and passion for his technique featuring atmosphere and interaction which allows you to see every automobile at its finest. Rowe has been commissioned by Royal Caribbean Cruise Lines and acts as a resident artist for inaugural cruises and is also the author of the award-winning book, Atmosphere and Light: The Automotive Art of Barry Rowe, is a complete retrospective of Barry’s work and includes paintings and sketches from Barry’s long love affair with art and the automobile, placing each within its historical content. Additionally, since 1998, Rowe has created posters for the Pebble Beach Concours d’Elegance. The 2019 Collector of the Year, Robert Jepson of Savanna, GA will feature his Vintage Auto Collection including the debut of several vehicles: 1920 Stutz Bearcat (debut); 1926 McFarlan, Model 145 TV – Six Passenger Touring (debut); 1927 Isotta Fraschini LeBaron, Model 8-AS Dual Cowl Phaeton (multiple award winner); 1928 Stutz BB Cabriolet by Phillips (CCCA First Place Winner); 1929 Bugatti Type 435 Cabriolet; 1930 Packard, Model 734S (debut). 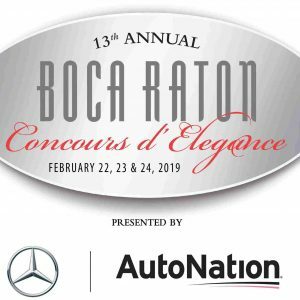 For additional information on the 13th annual Boca Raton Concours d’Elegance and a full schedule of events, please visit www.bocaCDE.com or please call (954) 537-1010. Where will you watch the Kentucky Derby. Subscribe to get latest offers and deals today! Get entered into our monthly drawing for an Exclusive Culinary Experience or Gourmet Product.